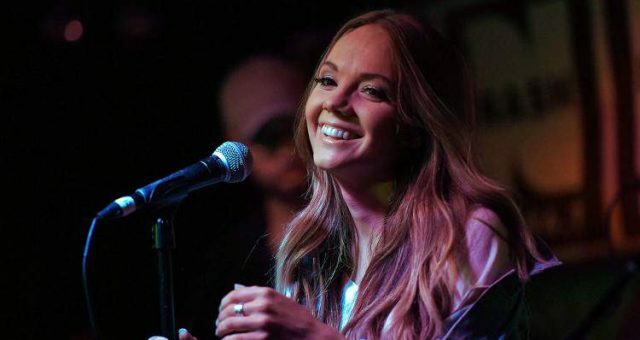 Hanna Eyre garnered national attention when she auditioned for The Voice season 12. She’s only 15, but the young stars are dominating this season. Coach Adam Levine may just win The Voice 2017 with this one! Hanna Eyre and Sheena Brook duelled it out with a duet of “Try” by Pink, during The Voice Battle Rounds. Adam Levine could pick only one, and it was Hanna Eyre. The moment Hanna Eyre stepped up on The Voice stage, she has been nothing short of amazing. 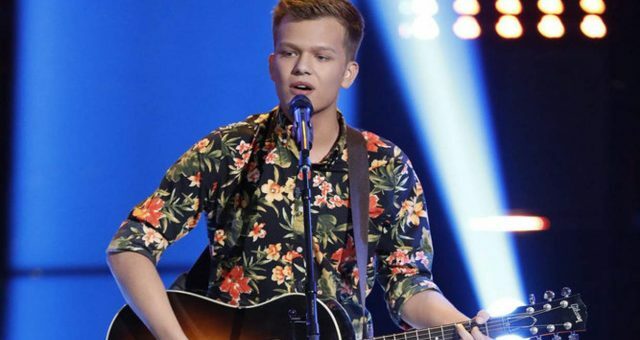 Team Adam’s brilliant artist is now set for the Knockout Rounds, and it promises a spectacular show. 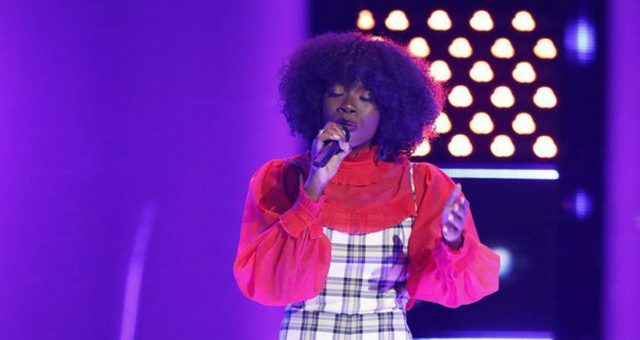 If you follow Hanna Eyre on The Voice, you probably want to know more about her. So, check out our Hanna Eyre wiki. The 15-year-old is from Laguna Niguel in California and is the oldest of four children. The Eyre family’s connections to family musical groups and barbershop quartets go way back. Her father was part of a barbershop quartet in his youth. And his father, Eyre’s paternal grandfather, was a musician, too. He played with the popular ’70s band, The Osmonds and several other jazz artists. Her mother is a pianist and was Hanna’s first teacher. When she was five years old, Hanna’s mother asked her if she wanted to learn the piano. At the age of eight, she was studying classical piano under Robert Estrin. She now surpassed her mother’s skill level and can teach others too. Hanna would adapt her skills to a more contemporary style to accompany herself while singing. That made Estrin encourage her to take up voice lessons. Instead of depending on her allowance, Hanna has been earning her own money for three years by teaching kids to play piano. Currently, she has 13 students between the ages of four to 40. 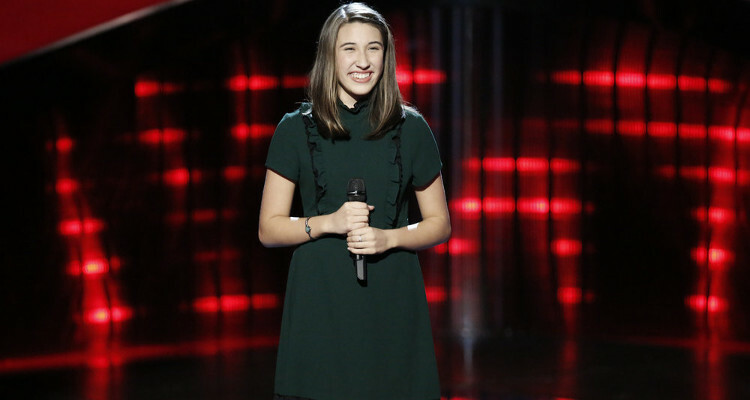 Her bio on NBC’s web site says, “Hanna’s parents constantly push her and her siblings to prove they can do anything if they put their minds to it.” Her family is a big fan of The Voice, and her father was the one who surprised her by signing her up for the Blind Auditions. No, we’re not talking about Jack Black’s, School of Rock! The prodigious singer goes to a local rock school in Laguna Niguel. She was a student of Los Rios Rock School, San Juan and also studies commercial music at the Orange County School of the Arts, Santa Ana. She was at Los Rios for two years, where she was able to continue learning the piano under a jazz specialist. 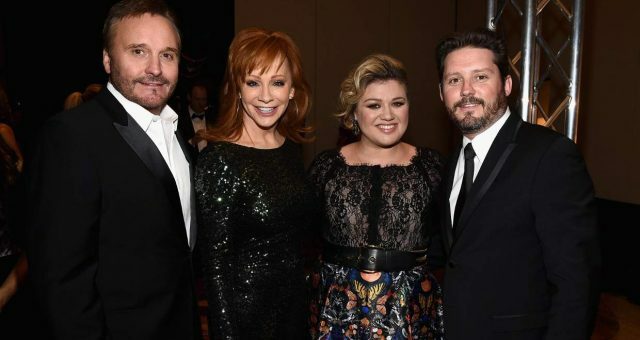 The school helped her find like-minded and talented teens with whom she performed quite a few shows at venues like Anaheim’s House of Blues. Hanna Eyre is currently a sophomore at OCSA in the Commercial Music Conservatory. She credits this audition-based arts school as a catalyst for her development as an artist and individual. One of her biggest achievements at OCSA is being part of MONTAGE —the school’s performing group— and is the face of the school in the community. In the future, Hanna hopes to further her music education at Brigham Young University. After completing her undergraduate degree at BYU, she has her eyes set on Juilliard. Nothing seems impossible with her! Hanna discovered her songwriting skills a few years ago. Her piano instructor introduced her to April Malina, a vocal teacher. Malina challenged an 11-year-old Hanna to write her first song, and she ended up writing over 20! One of those songs won her 1st place in the Music category and 1st place overall at the 2013 TEDx Bommer Canyon competition, Mind the Gap. She has posted demos and videos of her original songs on her web site, along with a few covers of her playing the piano and singing. Her goal is to become a performer and writer who can influence people for the better, bringing individuals together through music. You can listen to one of her originals from YouTube below. 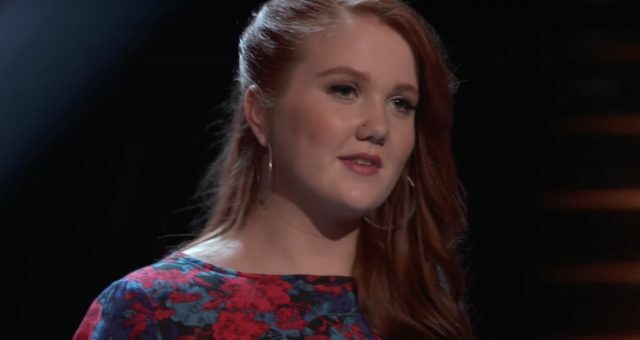 Watch Hanna Eyre compete in Team Adam at the Knockout Rounds. 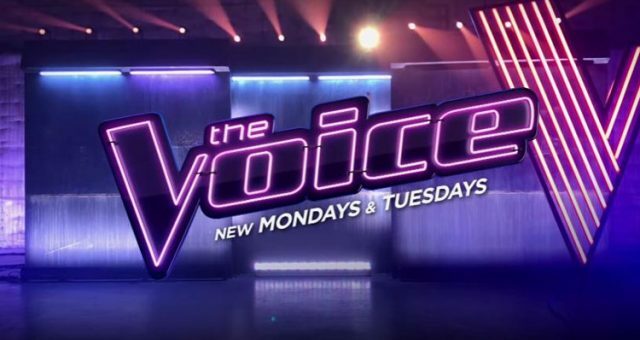 The Voice season 12 airs Monday and Tuesday at 8:00 p.m. EST only on NBC!